Welcome to Kirsch and Moradi Dental!!! We have created this website to help inform you about our practice, staff, philosophy, and services offered. In addition, we hope you will find some answers to questions about certain services or procedures which help you to make an educated decision about your dental care. We invite you to explore these pages to get to know us better, and look forward to meeting you in person so you can discover how we can help you achieve dental health and a smile that you can be proud of. 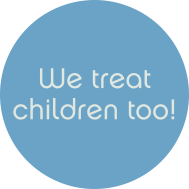 We believe in treating our patients as if they were family members. Minimally invasive, conservative care with an emphasis on predictable, long term results. We continue to embrace and incorporate new technologies into our practice but only after we are convinced that these systems are safe and reliable. We use superior lab technicians and the highest quality materials. Honesty, integrity and trust are the cornerstones of our practice philosophy. Conveniently Located On MuirLands Blvd. Next To El Ranchito!